Nine has announced that it has secured the exclusive rights to all premium tennis played in Australia for five years, from 2020 to 2024. 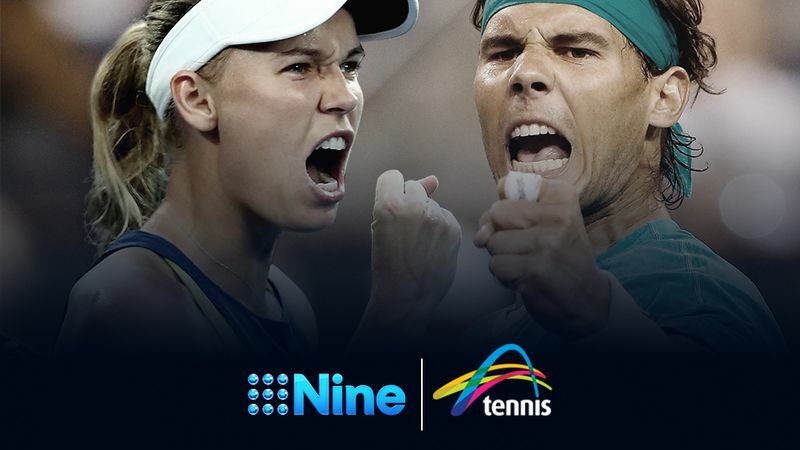 Nine has acquired all audiovisual rights for broadcast, streaming, mobile, digital and social platforms under a landmark agreement with Tennis Australia. Under this new deal, Nine will work with Tennis Australia and other industry stakeholders to find other distribution channels that will complement Nine’s broadcast of tennis. The AUD$300 million, five-year deal encompasses the Australian Open in Melbourne as well as the lead-up tournaments around Australia – the Hopman Cup in Perth and the Brisbane, Sydney and Hobart Internationals. The new tennis rights agreement, worth $60 million per annum, will give Nine an unparalleled launch platform for the television ratings year, which commences straight after the Australian Open. The Australian Open is consistently among the most watched programs of the year. Last year’s men’s final was the second most watched program of 2017, with a national average audience of 3.64 million. This year’s men’s final secured a national average audience of 2.369 million and is currently ranked as the number one sports program and the third most watched program on Australian television so far in 2018. Hugh Marks, CEO of Nine, said, “We are thrilled to have secured the rights to premium Australian tennis, particularly the Australian Open. The timing of tennis and the audience demographics it delivers are a perfect fit for Nine and its advertisers. “This is a landmark deal for Tennis Australia and we are very excited to partner with the Nine Network for the next five years,” Tennis Australia CEO Craig Tiley said. “Four years ago we brought the host broadcast for the Australian Open and all our events in-house and this success has allowed us to unlock even more value in our domestic media rights. “Our objective going into this process was a growth plan for exposure across the key planks of both tennis and non-tennis content, and the Nine offer best met these requirements. Nine’s commitment to additional tennis programing year-round was also aligned to our strategy. Tom Malone, Nine’s Director of Sport, said, “We are delighted that Wide World of Sports will become the new home of tennis in Australia. The Australian Open is an incredible tournament and event which will complement our existing rights across NRL, State of Origin, Netball and The Masters, as well as providing benefits to our news, entertainment and lifestyle pillars.